Cebu Pacific (CEB) highlights November 11, 2011 (11.11.11) with an P11 seat sale to all its 17 international and 34 domestic destinations. This is available from November 11 to 13, 2011 or until seats last, for travel from June 1 to December 15, 2012. Passengers can book P11 flights to any of CEB’s international destinations, namely: Bangkok, Beijing, Brunei, Busan, Guangzhou, Hanoi, Ho Chi Minh, Hong Kong, Incheon, Jakarta, Kota Kinabalu, Kuala Lumpur, Macau, Osaka, Singapore, Shanghai or Taipei. “CEB has continuously pioneered creative pricing strategies, and has given Filipinos seat sales as low as P0.88, P1, P8.21 and P12 for this year alone. We remain an innovative airline that offers the lowest fares in all the markets we fly to, for the benefit of even more air travelers,” said CEB VP for Marketing and Distribution Candice Iyog. “Next year, we plan to expand our China and ASEAN operations, starting with twice weekly Manila-Hanoi-Manila flights to be launched on March 17, 2012. The airline also announced flight and seat capacity increases to Beijing, Brunei, Singapore, Ho Chi Minh and Bangkok. 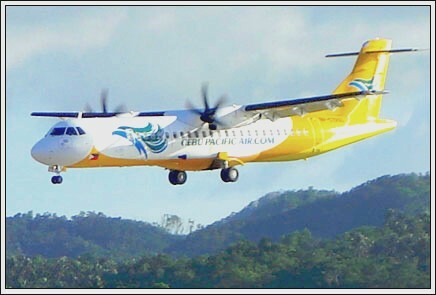 With CEB, there are a lot of flights, routes and destinations to choose from,” Iyog said. This promotion is only available via www.cebupacificair.com or through travel agents using the Amadeus global distribution system. Travelers can also avail of CEB’s free web check-in and free seat selection service for their travel convenience. CEB currently operates 10 Airbus A319, 18 Airbus A320 and 8 ATR-72 500 aircraft. By the end of 2011, CEB will be operating a fleet of 37 aircraft – with an average age of less than 3.5 years – one of the most modern aircraft fleets in the world. Between 2012 and 2021, Cebu Pacific will take delivery of 23 Airbus A320 and 30 Airbus A321neo aircraft orders, and 2 Airbus A320 aircraft on operating lease agreements.